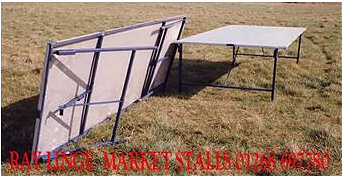 Show/Event Stalls and Gazebos ideal for Markets, Farmers Markets, Councils, Melas, School Fetes, Village Fetes, Charity Events, Town Fairs, Christmas Markets, Art Exhibitions, Street Fairs, Sporting Events, Pride Events, Church Fetes, Carnivals, Food Fairs. Show/Event Stalls, Ilford Stalls and Gazebos for hire or sale along with all types of accessories. Custom stalls made to order. Ideal for Councils, Event Organisers, Market Operators, Parish Councils, Charities, Schools and more. Our Show and Event Stalls or Gazebos are ideal for all types of events from 1 day to a week and longer. We delivery, erection and removal service offered. We offer our service Nationwide and are happy to supply Show/Event Stalls and Gazebos throughout the UK. We can also send accessories out by courier. At Ray Linge we have a stock of Ilford Stalls which we hire out. 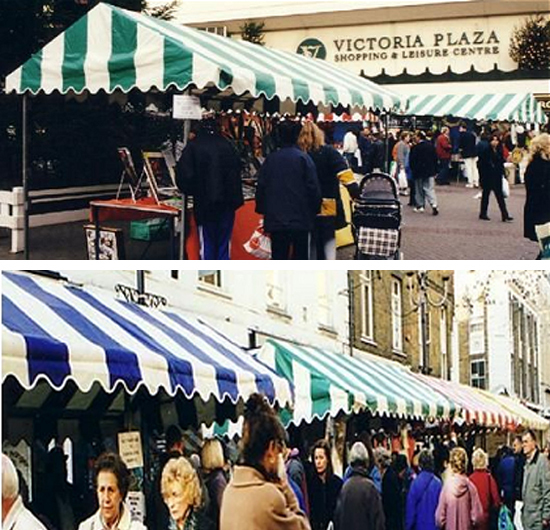 We can supply the Ilford type stall, which is a very strong and stable stall, made from 40mm x 40mm box section steel tube, which had been hot dipped galvanised. They are 10ft x 8ft and are erected in pairs only, they come with or without a table which is 6ft x 2ft 6″. The Ilford stalls include a fitted cover made from a material that complies with the fire regulations and is in a 15″ stripe which can be in many different colours. All covers come complete with fixing toggles and a scalloped edge all around the cover. The cover is put on and taken off by our experienced staff. These are ideal for events that are for more than 1 day. We stock a large number of tables, our most popular being the 6′ x ‘.6’ trestle type with a metal top. This is used for both indoor and outdoor events to display antiques, crafts and other collectables. We also stock this table in 7′ x 3′ and 8′ x 4′.